Springtime is a perfect time for planting flowers that will bloom during summer. Spring is ideal for gardeners because it offers moderate temperatures for doing physical work, and it’s beneficial for flowers because the weather lends to a nice growing environment for blooms that need to stay out of scorching sun as they grow strong. Calibrachoa hybrids are heat-resistant summer flowers that love extreme climates. These blooms have large petals that show off in a range of colors, and they’re absolutely brilliant (consider planting the Tequila Sunrise varietals, which are bright orange and streaked with yellow). Calibrachoa Hybrids look wonderful in a garden plot or in a hanging basket. Saliva splendens are perennials that grow well in full sun during mild summers, but hot summers will require they be placed in partial shade to thrive. These spring-planting blossoms need moderate water and you may need to feed them occasionally. They sometimes grow 15 inches high and 12 inches wide, and they flower in the red range. New Guinea impatiens hybrids need to have sun to grow well, but make sure you give them only morning sun so they don’t burn (except if you live on the coast, where they’ll be fine in mid-day full sun). 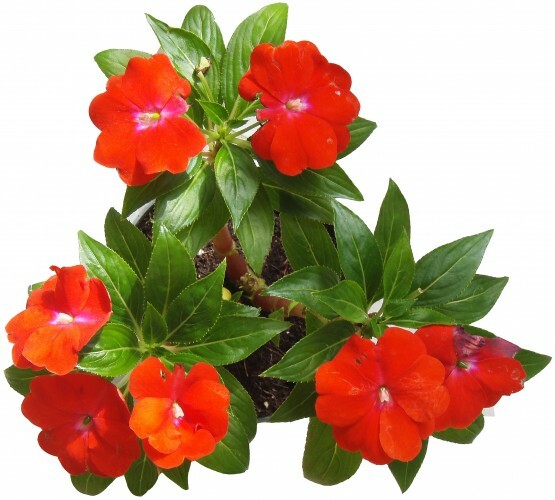 New Guinea impatiens hybrids need a good supply of water and some feeding. They’ll likely start blooming about three weeks after you plant them. In addition these flowers that you can plant during spring for summer arrival, consider including twinspur and zinnia elegans in your garden. These flowers, and the others we’ve recommended, will give you beautiful foliage to enjoy throughout August and well into September in many regions. And, they’re relatively easy to care for.